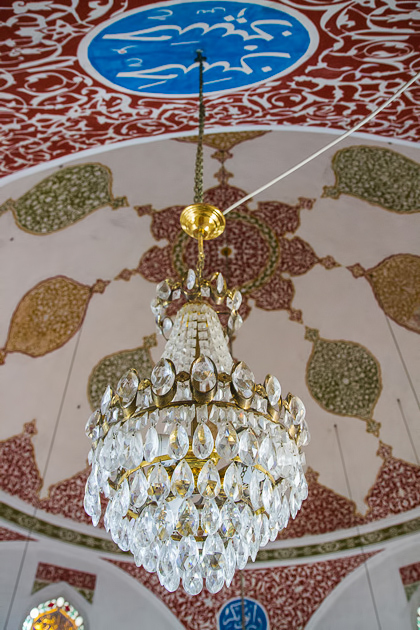 Built in 1640, the Çınılı Camii is a miniature work of art, reminiscent of Tathakale’s Rüstem Paşa Camii: perhaps our favorite of Istanbul’s mosques. 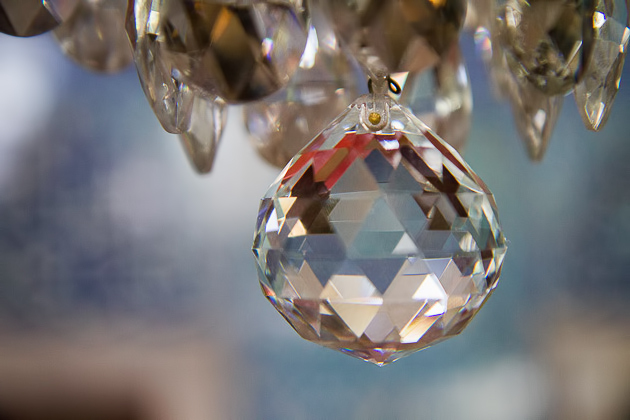 The doors were locked tight when we arrived, but it wasn’t difficult to find a caretaker who was happy to open up. 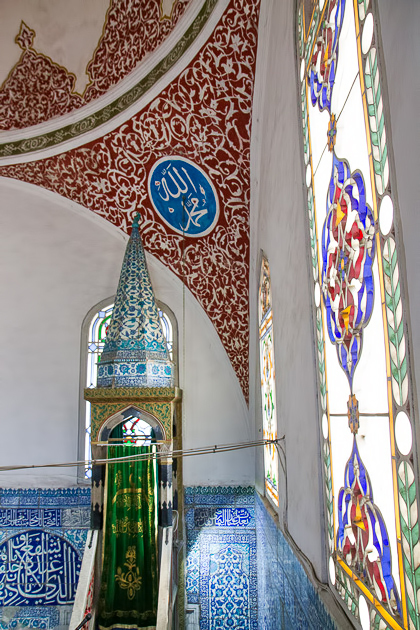 The Çınılı Camii’s nickname, the Tiled Mosque, is certainly deserved. 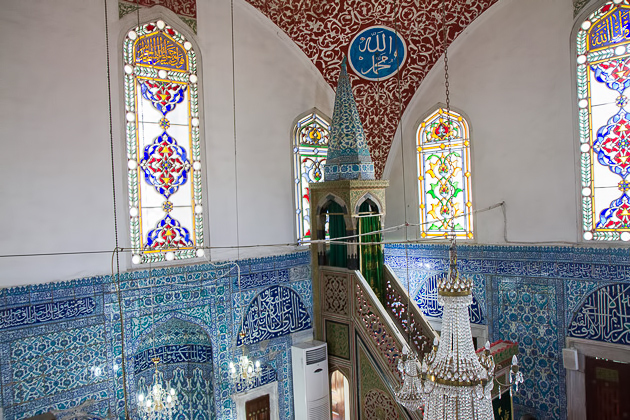 The interior is covered in wonderful Iznik tiles, colored blue, red, white and green, making this one of the more richly decorated mosques we’ve seen. 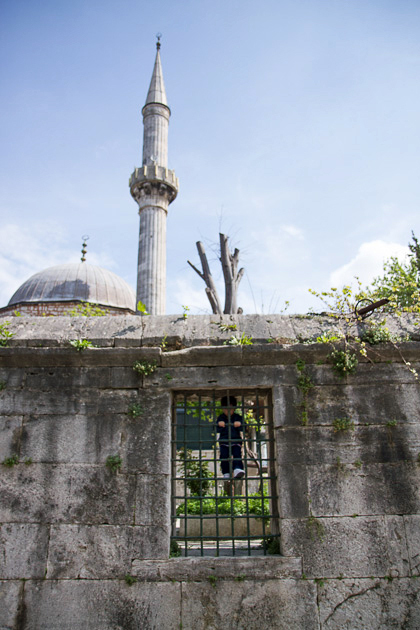 Just around the corner, we found the Çınılı Hamam. 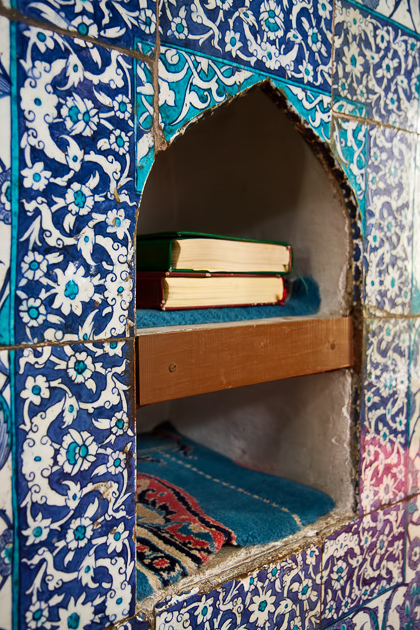 I’ve come to learn that there are two types of hamam experiences a person can have in Istanbul. 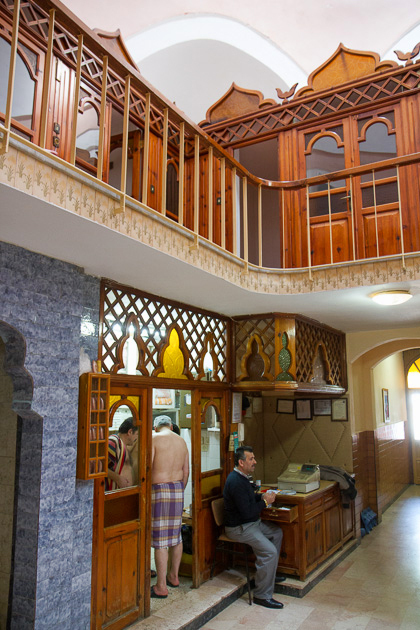 One is the tourist-oriented luxury of the larger, downtown hamams, which charge spa-like prices and provide spa-like services. 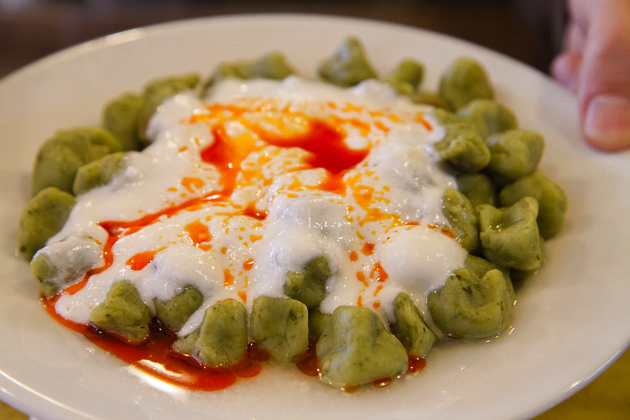 The other is an experience like that offered by the Çınılı Hamam: local, cheap and authentic. 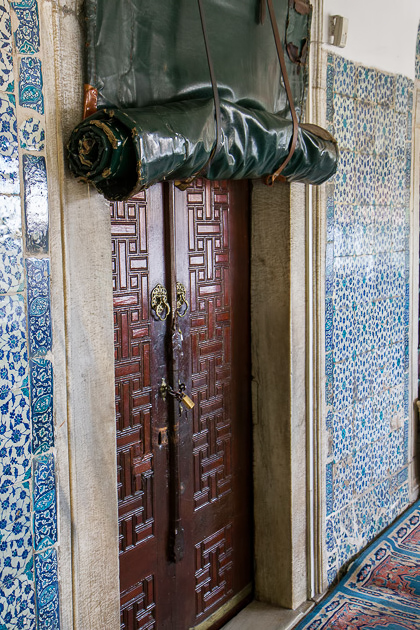 The Çınılı was exactly what I had expected from a Turkish hamam: an ancient bath house full of locals washing themselves, an invigorating massage on the marble slab under the star-shaped skylights, a ridiculously hot sauna, and a no-nonsense scrubbing by the sinks. 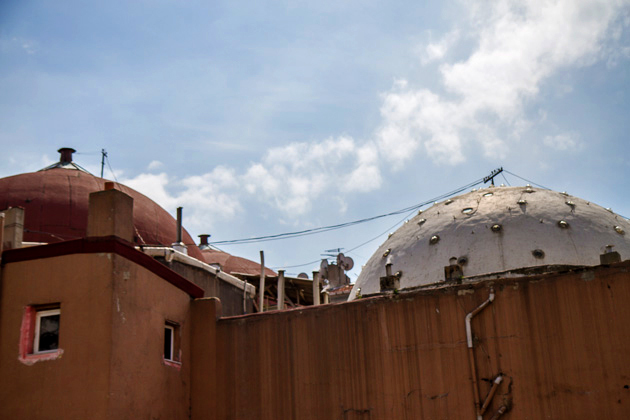 There was a musty smell in the hamam, and my massage toed the precarious line between vigorous and vicious: while there were bits of brutality that I perversely enjoyed (such as an unexpected punch to the middle of my back), there were others I didn’t. 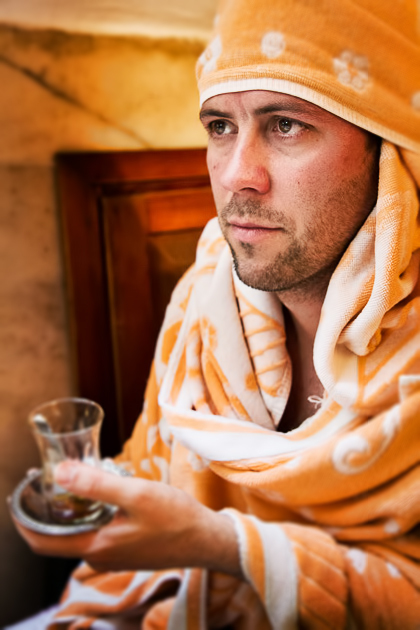 Still, I’m happy that we found the courage to try the hamam out; there were a surprising number of locals getting the same treatment as us, and no other tourists. 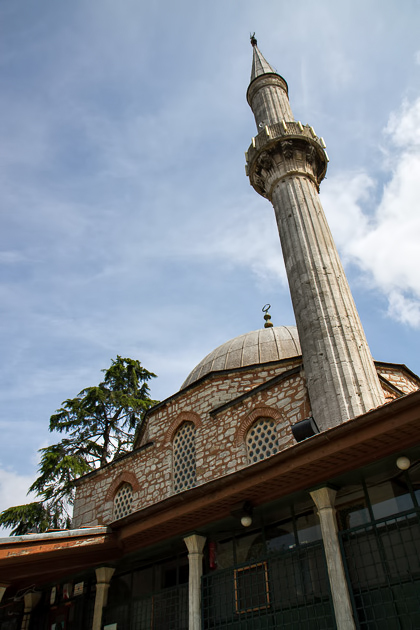 The whole program, including sauna, scrubbing and massage, was just 35 lira per person. 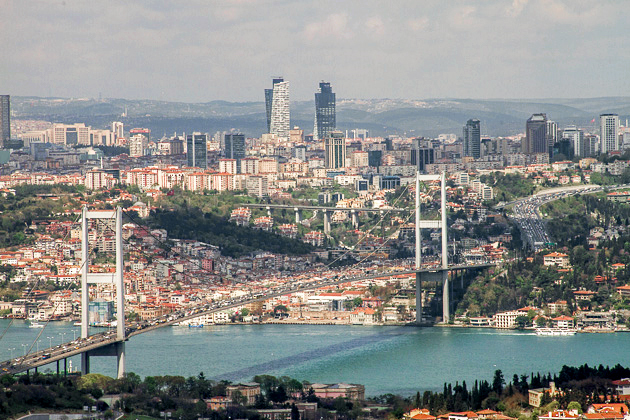 Whether or not you’re in the mood for a bath, this little-visited area of Üsküdar merits a visit. It’s uphill and difficult to reach by walking, but a taxi ride is inexpensive. And the downhill walk back down to the ferry terminal is very pleasant, particularly after your body has been twisted, pounded, rubbed and scrubbed. Üsküdar's Çınılı Camii & Hamam After hiking up Istanbul's biggest hill, the Büyük Çamlıca, our tired bones had earned a reward. 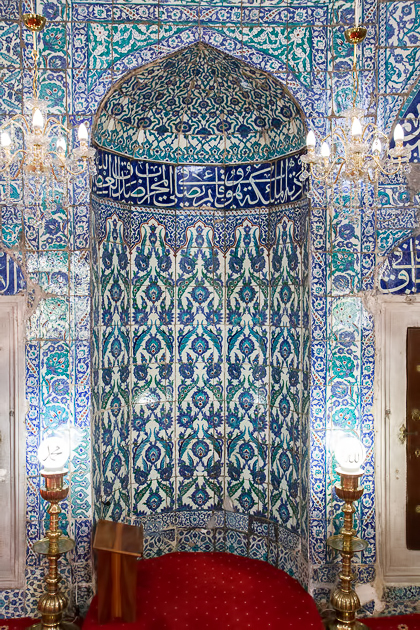 So we made our way to the gorgeous Çınılı Camii, Üsküdar's Tiled Mosque, and ended the day in a hamam. The last picture….who are you and what have you done to my son ?